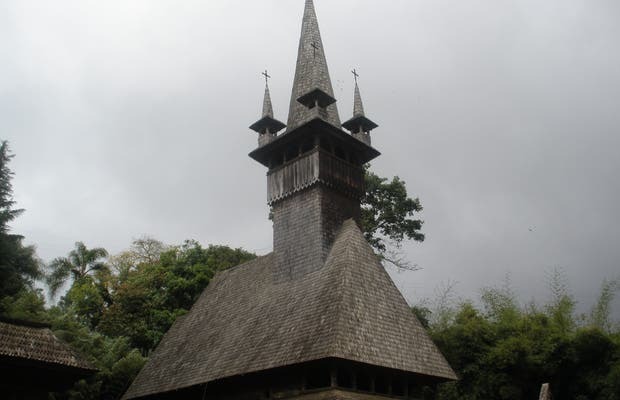 At the entrance of the Lagunita urbanization, El Hatillo Municipality, you will come across the Romanian Orthodox Church of St. Constantine and Helena: A beautiful handcrafted one made exclusively of oak and fir wood brought from Romania and assembled without any hardware used by Romanian artisans. It has a bell tower that is more than 30 meters high which is accessed from a beautiful staircase carved from a single trunk. There are only 15 temples of its kind that exist in the world and only 2 of them are outside the country of Romania. Nathalie Azero "Infusiones de Arte y Moda"